The plan for today was to fish up by the Newburgh Dam for sauger, but it was windy (steady wind of 10 mph, gusting in the mid 20s) so I ended up at Angel Mounds. 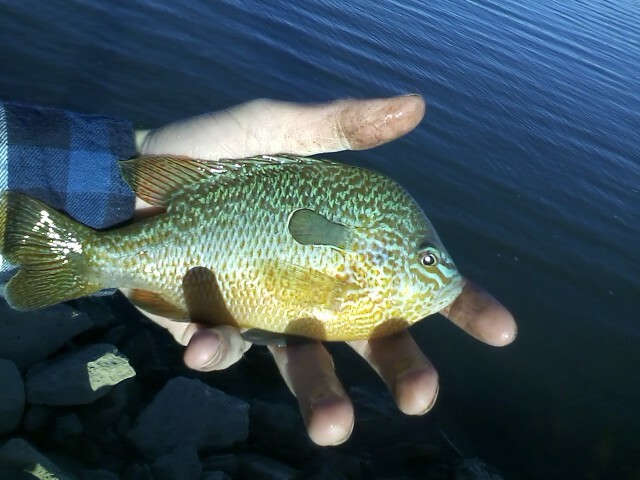 I wanted to catch some live bait so I stopped at the State Hospital Park to catch some bluegill. 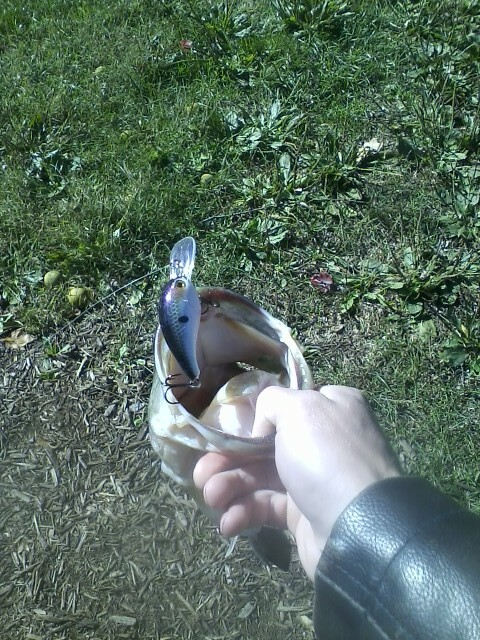 I had a deep diving crankbait still tied on from the day before so I gave it a few throws. 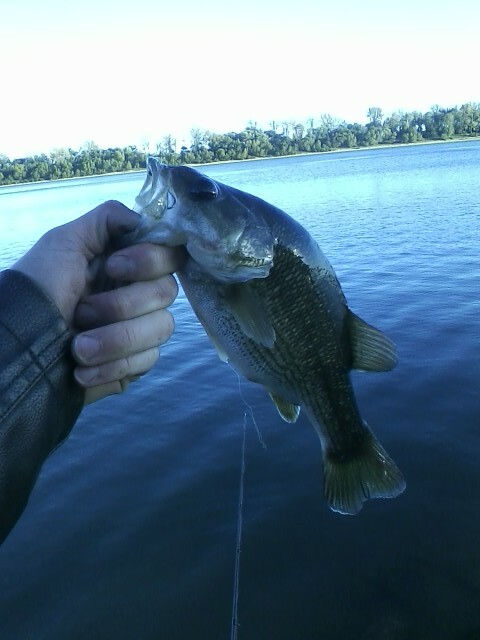 With in the first 10 minutes I caught 2 bass, the first was 3.5 pound and the second was 4 pounds. Both fish chased the lure right up to bank and hit the lure in less than 1 foot of water. 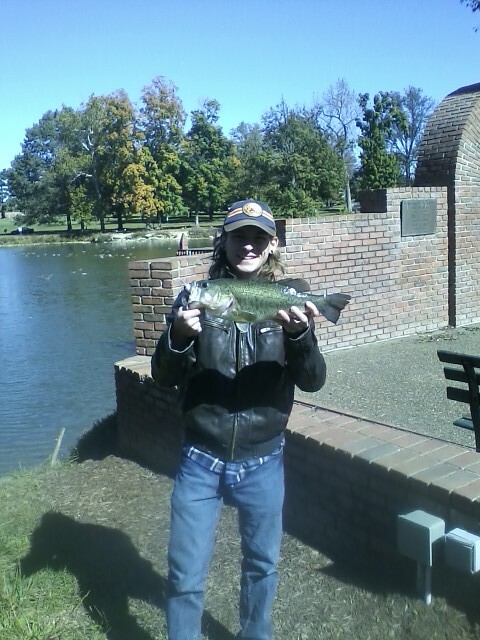 Once I finished messing around with the bass I tried catch a few small bluegill for bait. So I tied on a small white curly grub, and successfully caught the smallest bass. This happened a few times so I gave up on the idea of catching any bluegill and headed to Angel Mounds Boat Launch. There is a nice sandy spot beside the boat launch that I was hoping would have some cats cruise over, but I could not have been more wrong. 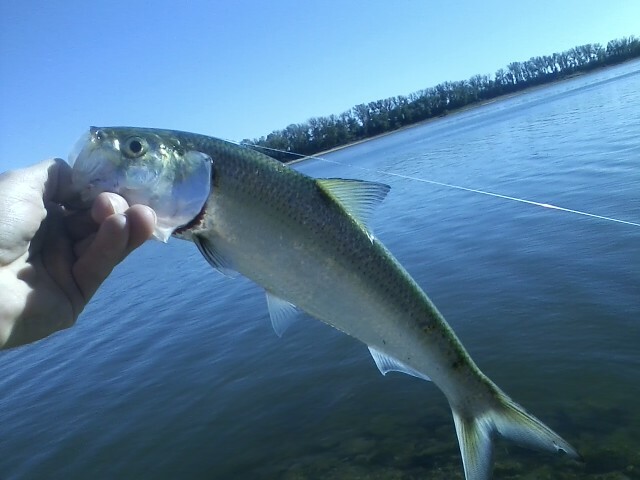 After about an hour of not catching anything on a lure I free lined a minnow and caught a little Skip Jack. Which was added to the bait collection. After this point I was out of minnows and I couldn’t find any big enough to stay in my cast net. So I switched over to free lining worms, casting them out about 10 feet from the rocks and letting the drift toward the boat launch. I left the spool open on my reel and waited until the line started going out. This resulted in a few nice bluegill and some beautiful longear sunfish. I continued fishing this way and had an odd tug so I set the hook. 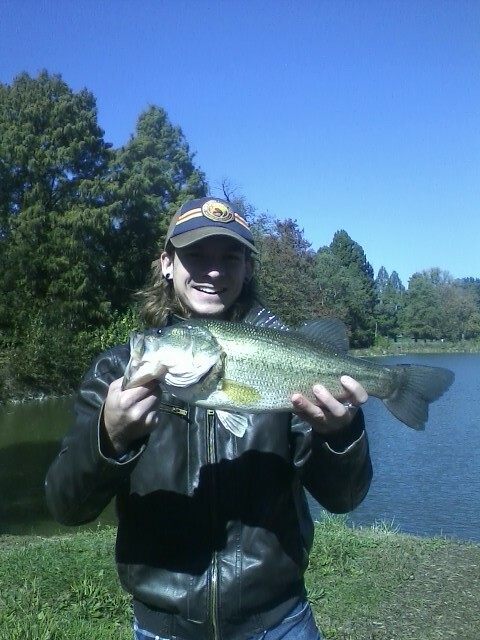 This time it was one of the chubbiest spotted bass that I have ever caught. 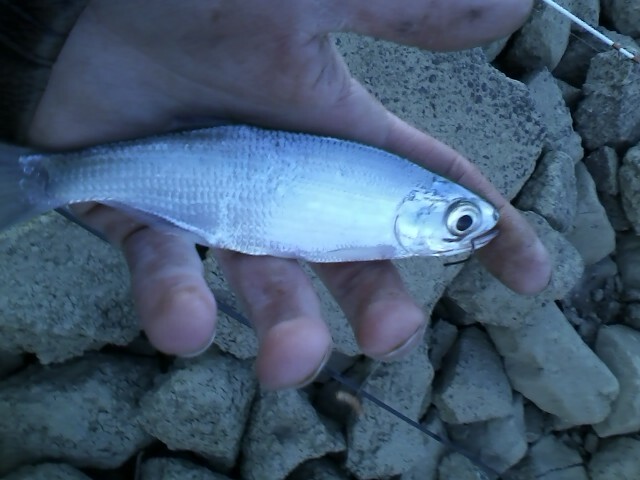 He was a tiny bass, but he had a surprisingly big stomach a back that was at least 3 inches thick. This is one of the only places I seem to catch spots from the bank with any frequency. I kept doing this with smaller chunks of worms and caught a fish I haven’t caught in over 2 years. The humble Mooneye! I had always fished for these guys with crickets, I’m going to have to go back here and try to stock up for these guys, they make excellent blue catfish bait.